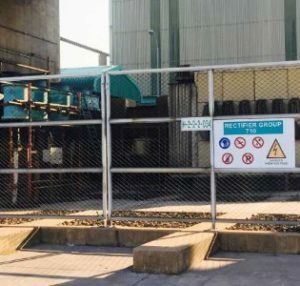 AMPLIMESH is a typical expanded mesh product and as such can be used in any application where metal mesh finds a home. 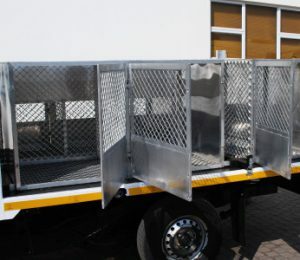 It is light weight therefore it ideal for transporting and moving, especially where temporary positioning is required. 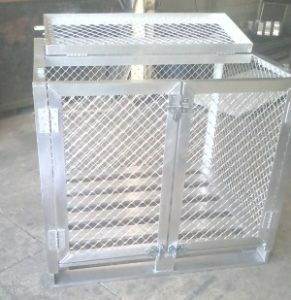 In addition it is corrosion resistant which ensures it is long lasting with a minimum of maintenance. Similarly it is tough and durable which enables it to be placed it hard working conditions. AMPLIMESH is available in 2 cord gauges, 5mm and 7,5mm. It is also available with various apertures widths in order that it may suit a wide variety of end uses. 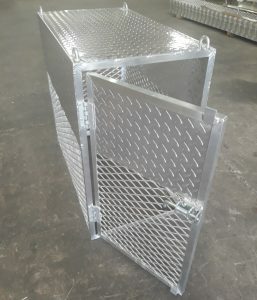 We carry a number of extrusions that allow us to frame around the AMPLIMESH to make it easier to position once fabricated. 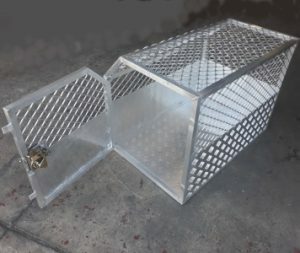 At ALIFAB we offer pre-fabricated products that make use of AMPLIMESH. Below is a range of these products but it must be stressed that this list is extensive in it entirety. Should you require any further information about any of these products please do not hesitate to contact us. 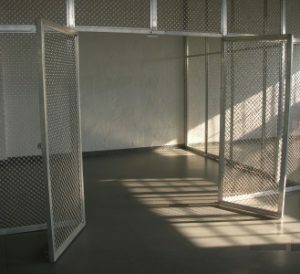 AMPLIMESH can form part of a wide variety of fabricated screen and gate products. 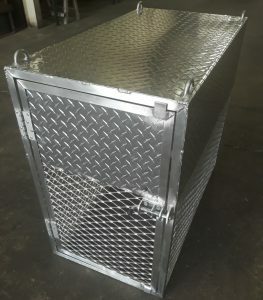 AMPLIMESH is ideal for the fabrication of dog kennels. 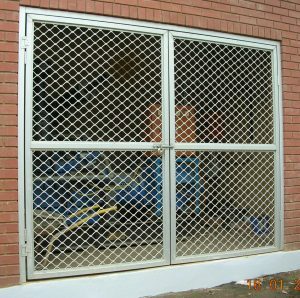 The corrosive resistance of the aluminium ensures they do not oxidise and it also makes them easy to clean. 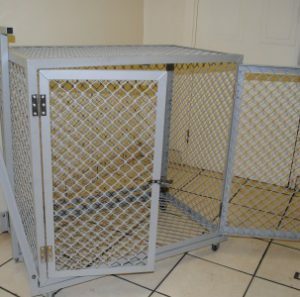 ALIFAB has a standard range of dog kennels suitable for Small, Medium or Large dogs. 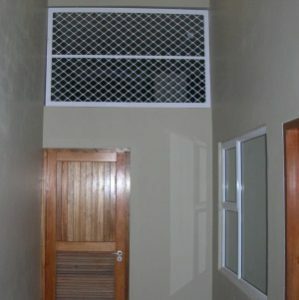 We also undertake purpose made works to suit your exact needs. 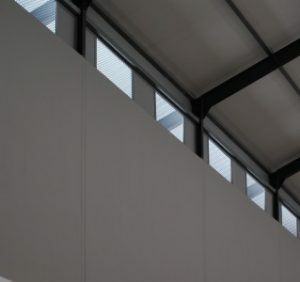 AMPLIMESH when matched with the correct frame work makes for great partitioning. 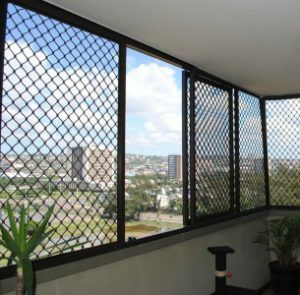 The end product is robust and secure, requiring hardly any maintenance. 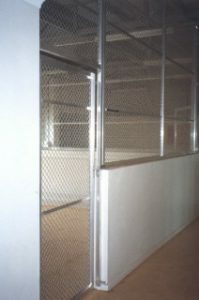 The partitioning can be fitted at low level, high level or in between. With the correct frame section it can be fixed to almost any other member. 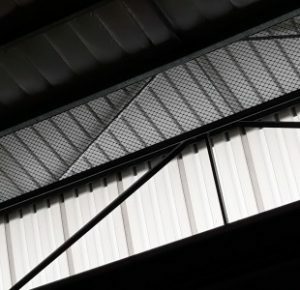 AMPLIMESH Type 101U is ideal for bird proofing. With an aperture of 25mm x 53mm birds find it very difficult to get through. AMPLIMESH is aluminium so no maintenance is required when fitted into those high, hard to get to places. ALIFAB have framing section that allow for the fitting of an insect gause that will keep everything out. 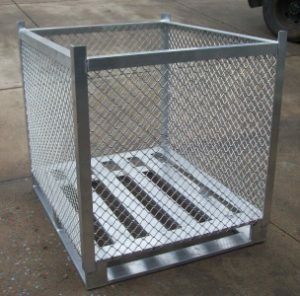 AMPLIMESH is ideal for the manufacture of cages to house or carry product either during or after production. Being light weight means it is easier to move when fully loaded. 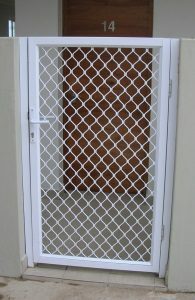 The high strength aluminium alloy frames ensure they are durable and long lasting. 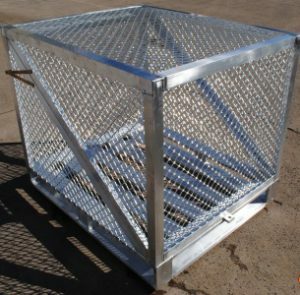 Alifab has manufactured a wide range of different designs to suit the needs of various customers, we are sure we have a solution for you.